Happy Chinese New Year's everyone. I know technically the New Year was on Monday, but traditionally this is a weeklong celebration, so I think I still made it in time. After living in Hong Kong for almost two years back in my twenties, I decided that Chinese New Year is totally my favorite holiday. I had the privilege of celebrating two of them and they were delightful. There are so many wonderful , exciting traditions and foods, I can't even begin to do them justice. I do think my favorite part of the holiday was that it brought so many people together. In such an enormous city, with everyone so busy, it was fun for me to see all these people unified by this holiday. Everyone was scouring the stores for egg rolls, (which are actually cookies, not the fried things you get at American restaurants) black mushrooms, faat choy (which is a veggie that resembles hair--definitely an acquired taste) and lai see envelopes, which were my favorite. Lai see envelopes are pretty red pockets that are decorated beautifully in which you put money. These envelopes are then distributed to all your young, single friends, typically children. In honor of the holiday, I am entering a contest at the Kitchen Post. 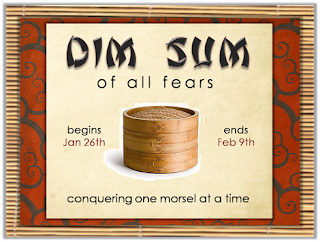 The contest is called "The Dim Sum of all Fears" and requires that you try a dim sum recipe that is a bit intimidating to you. The following is my very favorite dim sum recipe. It looks more complicated than it is, and it is divine! So, so good. It was a plus that they are lower in fat than your average pot sticker. But, beware. They are so good that there is no way you will be able to get 12 servings from this recipe. Bil and I devoured probably 2/3 of the recipe in one sitting. 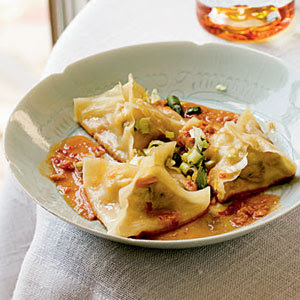 It was so good we forewent the rest of the meal in favor of the pot stickers. Please, please try this and let me know what you think. It's worth it! Yesterday, Danny was playing with some letter stickers. He has had this major obsession with stickers lately and has basically gone through almost my entire stash of scrapbooking stickers. He loves peeling them off and sticking them on paper; it seems a waste, since we typically end up tossing all the pages he has decorated, but it keeps him happy and we are all snowbound right now so my peace of mind is worth it. Danny got the hugest, most diabolical grin on his face and said (quite loudly), "No. It says, 'my mommy is the biggest belly in the whole world!'" Apparently he has noticed my burgeoning stomach. I don't know how he could have missed it, actually, for all the times I have knocked him in the head with it. I know he was exaggerating, but he isn't too far off the mark. I am sure there is someone in the world with a stomach larger than my own, but I cannot think of anyone off the top of my head. I have even surpassed my father's beer belly. No small feat, let me tell you! are they hyper or just exuberant? I am one of the women in charge of the kids at church and we had one of our quarterly activities this morning. Truthfully, I wasn't completely looking forward to spending my entire morning with a bunch of kids, especially since my husband wasn't going to be able to attend and help out. Normally, I recruit him to help since Danny does tend to get overstimulated at these type of activities, and since I am one of three women in charge, it gets really tricky keeping Danny calm while also dealing with all the other kids. And as of November, Charlotte is 3 and is officially old enough to join in the kids' parties. So, I would definitely have my hands full. As we all congregated in the Primary room awaiting instructions for the activities, a couple of the kids got really rambunctious. They were rolling around on the floor, making all kinds of weird noises and laughing at each other. They reminded me of two puppies, wrestling and climbing all over each other. 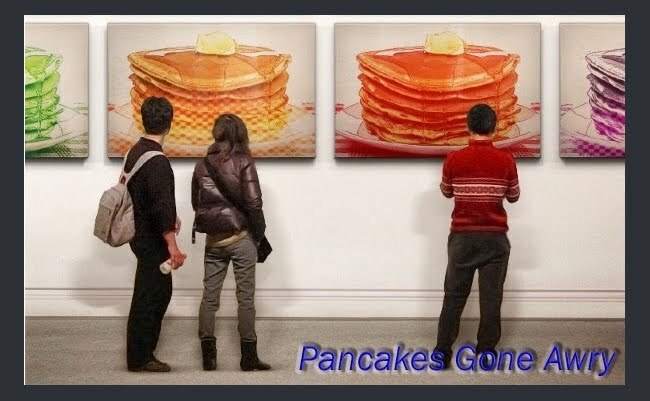 They were making it really difficult for anyone to hear the directions. Luckily, all the other kids (minus these two hyperactive monkeys on crack) were pretty calm and respectful; they sat quietly and listened as best they could. It really made me wonder about these two feral children (who happen to be siblings). I mean, what did their mother feed them for breakfast, an IV sugar drip with caffeine for extra boost? Why doesn't she teach them to sit still and respect their elders? Where in the name of everything that is holy do they get all that energy? Does she provide any structure or discipline at home at all? Or are they just allowed to run around and behave like neanderthals on speed? What happened to them to make them so weird and unmanageable? I would call that mother and ask her these questions, only the mother happens to be me. At one point, I muttered half to myself, "Why is it always my kids that are out of control at parties?" A friend of mine just smiled and said, "Because they really like to have fun." Why is it that it takes me weeks of dieting and exercising to lose 6 pounds, but I can gain that much or more after a really fun weekend? I just do not get how that works! Sigh. I recently discovered that the community college in a nearby town has a job opening that I qualify for. To be honest, from the description, it sounds like my dream job. I was discussing the job with my mother and all the ramifications of possibly getting said job (ie: what in the world we would do with the kids? etc.) when she said something I keep mulling over. She asked me why God would give me the gifts I have (ie: my love for teaching) if He didn't mean for me to use them. That would be a waste. Even as she said it, though I understood her point, I didn't completely agree with her. The interesting thing is this is not the first time someone has made this statement to me. Basically, I am wasting my degree/talent/knowledge/college education, etc. by staying at home with my kids. I have actually felt this way before, especially after really bad days with the kids, but hearing it come from other people's mouths has solidified in my mind that I do not actually agree. Staying at home and taking care of children and house are not always the most intellectually stimulating pursuits, I'll concede, but that said, being a mom has been far more challenging than my most difficult teaching assignments. I actually feel like my teaching experience has helped me a lot as I figure out how to deal with certain discipline issues or how to help my kids with certain principles I want to teach them. I think I understand what my mom meant when she said what she did. She was not insulting me or in any way putting down my contribution to my family. I think she just wants me to be able to have it all. She knows how much I loved school and how gratifying teaching was for me. She hates to think I am giving up a dream, one I worked so hard for, even if it is for taking care of her beloved grandchildren. And I appreciate this about her. But, deep down I know that I am not wasting my talents with my kids. I don't know what I will decide about this job opening. I am definitely going to apply, especially with Bil's job basically hanging by a thread (have I mentioned his company makes automotive parts? Yeah, they aren't doing so well right now); we feel like we should keep all our options open, but who knows if Bil and I will decide to take it, if it is even offered to me. That will be a decision we will have to make together. I am glad to know though that even if I get this awesome tenure-track teaching position, the most important work I do is with my kids, despite the lack of paycheck, bonuses, and promotions. One of the few chores I enjoy in my job as hausfrau is cooking. I am not the best housecleaner or laundress, but I do tend to work pretty hard at making meals for Bil and I to enjoy. To be honest, I suppose this is a somewhat selfish pursuit in that eating good food is probably my favorite pastime ever. And in order to indulge this obsession of mine, I know cooking is a must. Especially in this town full of mediocre restaurants and many, many fast food joints. Anyway, so Bil and I eat pretty well. The kids rarely, if ever, eat my masterpieces, but still I cook most nights, because I refuse to eat chicken nuggets for dinner. Cereal, sometimes, but not nuggets of dubious origins. Don't get me wrong, we don't always have delicious meals, but most nights it is something pretty good. This week alone we ate chicken curry, a really succulent pork loin roast with faux-tatoes (mashed cauliflower with herb cream cheese--one of my favorites), and marinated eggplant and portobello mushroom sandwiches. Oh, and don't forget the peanut butter chocolate chip cookies I made with the kids. Don't you wish you had a wife like me? The other reason I enjoy cooking is that I like making things for people and am not the most creative girl in the world. I can't really sew, draw, paint, or build things, but a cream puff with homemade pudding I can do. Also, I really equate food with comfort, celebration, grieving, or just about any other emotional activity you can think of (which definitely accounts for the many extra pounds I am carrying around, but I digress). Today, I decided to make chicken and spinach manicotti. I started early, since I have been trying to have most dinner preparations done before Danny gets home so I am not too tempted to sit the kids in front of the TV for an hour or more. The thing with this manicotti is I kind of improvised the recipe and ended up with far, far more than I had originally intended. Instead of one pan of about four servings, I am now looking at two pans filled with at least 6 very generous (or 8 normal-sized) portions. We will be eating this stuff all weekend long. 1--You must profess your love for my manicotti with much effusiveness. I have been having a somewhat emotionally difficult week and could use the praise and love. I blame my hormones, but if anyone else does, I will seriously not be pleased. Yes, I am needy, but at least I am open about it. 2--Do not bring any children with you. Mine will be in bed by 6pm at the latest tonight because I just so need a break. Charlotte would not go to sleep last night so I was in her room until 9:00 trying to soothe her. Her crying also kept Danny awake. And since I tend to fall asleep by 9:30 nowadays, I didn't get much ME time. 3--Do not, under any circumstances, look at my kitchen floor, at my bathtub, or in my family room at all. I have only cleaned half the house so far this week and have not gotten to those areas. Cut me some slack. Manicotti doesn't make itself, you know. Did anyone criticize Van Gogh for painting instead of mopping his kitchen floor? I think not. OK, so let me know if you are coming over and I will try to have some clean dishes and silverware on hand. I know this is totally cliche, but I find myself often wishing for a parenting manual, one in which all the tricky questions are answered. This manual needs to be very specific, though, addressing all the particular needs of each of my children. I am just so sick of feeling completely clueless at this parenting gig. Every time something I try works, I feel this enormous sense of relief, like I have dodged a bullet, but I am sure that someday everyone is going to realize that I am a complete parenting fraud. I have no idea what I am doing. 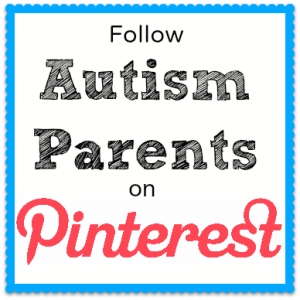 I have read a multitude of parenting tomes, books by Dr. Phil, the Super Nanny, Dr. Spock and Dr. James Dobson, not to mention all the SPD books and articles I could get my hands on. Still, I have yet to find a book or expert who really helps me with my kids in all the tricky, daily situations. People have told me that trusting my instincts is the best, which I for the most part I subscribe to, but occasionally my instincts fail me. Like in the instances where my instinct is to throttle one of the kids, or to run away from home and never come back, or in general when following my instincts would result in arrest or at least being reported to DCFS. Then, there are times when I just have no instinct at all. I have absolutely no clue what to do. For example, all of a sudden, Charlotte hates baths. She refuses to get into the tub, when 4 months ago, baths were a treat to her. I have tried all kinds of bath foams and tub markers, all to no avail. For a while letting her wear her bathing suit worked, but no more. Now, I have to forcibly hold her in the tub while I frantically suds her up and wash her hair--all while she screams as if I were boiling her alive. I have no idea what to do about this. And the worst part is knowing that while I might receive some inspiration to induce her to bathe, it won't last. Sooner or later, that idea will fail, along with all the rest of them. Either that or she will just move on to a newer and more difficult battle. And I guess I am just getting a bit frustrated and tired. When will it all just click? Will I ever have just one day where it all went well? Where all my parenting decisions were stellar and without reproach? What has really got me thinking on this topic is the incredibly difficult morning we had with Danny today. Everything went fine until we had to get dressed for church. All of a sudden, Danny refused to take off his pajamas and he kept insisting that he wanted to stay home. We haven't had this problem in ages and it kind of blindsided me. I thought this was one mountain we had surmounted, never to return to again. I tried everything I could think of to convince Danny that he needed to get dressed and nothing worked, not bribery, not threats, not yelling, not begging. I didn't know what to do. We were, by this point, running quite late and getting desperate. Bil offered to stay home with him, while I took Charlotte, and he and Danny would come a bit later when Danny finally got dressed. I didn't like this idea because I had a feeling that Danny would never cooperate and they would both just stay home, locked in a battle of wills. To me, this would be a reward for Danny's bad behavior and I knew that if Danny figured out that he could stay home if he acted up, we would have these problems forever. Who wouldn't rather stay home in his pajamas than attend three hours of church? I sat on the couch crying a bit, just wondering what the heck I should do. Then, as is my habit, I started catastrophizing, wondering how I would be able to handle the teen years if I couldn't even get my kid dressed in the morning. How would I handle three kids, when the two I have now are such a handful? What was God thinking, really, to give ME, of all people, kids and not just regular kids, but one who has developmental delays and SPD? Finally, I decided to take charge. Danny was going to church, even if it meant he went in his pajamas. So, I gave him a deal. If he wore his pajamas to church, he would not get to play computer games or watch a video after church. We had already put all his cars into timeout because he wouldn't cooperate, so we had pretty much pulled out the big guns, punishment-wise. We finally got everyone in the car, Danny still clad in his dinosaur pjs, because of course, on this day, of all days, he couldn't have been wearing pjs that remotely passed for regular clothes, oh no. I have to admit I wasn't happy with this solution, mostly because it was embarrassing to me to have my kid show up to church in pajamas. Keep in mind that in our church pretty much all the women wear dresses and skirts and the men wear ties. Not a place where pjs will even remotely go unnoticed. I just knew people would say things and wonder why we let our kid wear his pajamas to church. They would think that we let our kids get away with murder, blah, blah, blah. And this is when I decided that I needed to quit worrying about what other people think, for once in my life. The more I thought about it, the more I realized that though Bil and I felt completely clueless in this parenting crisis, we actually had come up with a plan of action that was best for us. We didn't give in and let Danny stay home from church, which was the most important part for me. Also, though he went to church in his pajamas, he was being punished with no cars or computer because he wouldn't get dressed. So, in my opinion, we were addressing all aspects of the undesirable behavior. People at church wouldn't know that by looking at us, but let them judge if they wanted, right? I knew we were handling it the best way we could. Anyway, despite a couple of insensitive remarks, (one woman actually thought we had overslept and just let Danny come in his pjs. Not sure why she thought the rest of us were dressed well. Did she think I just thought, "Well, we are running late, so I won't bother dressing Danny. I spent too much time on Charlotte's diaper and sparkly dress. I guess we'll just worry about him next week") church went really well. I didn't go around making excuses to people about our family's wardrobe choices, I forgot to worry about what everyone was thinking, and that was an enormous blessing. Danny is now begging us to take his cars out of timeout, and though it is only 3:53 PM, I am counting the minutes until bedtime. But come Sunday next week, I have a feeling that Danny will cooperate with getting dressed for church. I don't know. Maybe, just maybe, my instincts were right. Maybe I am not quite as inept as I thought. Aw, who am I kidding? I still have no idea what I am doing, but so far the kids are alive and happy and that has to count for something, right? I have been grappling a bit with a small parenting dilemma. I think it is obviously pretty important to teach my kids to share. Lately, however, I have been wondering if I am going overboard. This last week, I have noticed that while Danny is usually pretty good about sharing with his sister--he usually offers her parts of his treats from school with no prompting from me and will share his toys, sometimes after I force him to, but other times willingly--he has been resistant to playing with Charlotte after school. At first, I thought it was a sharing issue. He didn't want to share his favorite cars with his sister, so Bil and I have been pushing him to share, sometimes resorting to timeouts, etc. Last night, though, I realized that I think at times Danny just wants to play all by himself, unmolested by his sister. It makes sense. He goes to school all day where he is expected to interact with other kids and share and be polite. After a full day of forced socialization, I would want to play all by myself, too. So, the question is, how do I balance Danny's need for privacy and isolation and Charlotte's desire to play with her big brother and his favorite toys? When do I force him to share the toys (and thus, interact) with his sister and when do I make Charlotte leave him alone? The problem here is that in both scenarios, one of the kids is unhappy, which means I get to hear at least one of them screeching and complaining. Something I tend to avoid if possible. But, this is also an opportunity for both the kids to learn some lessons, like respect of others' boundaries and sharing even when it is uncomfortable. 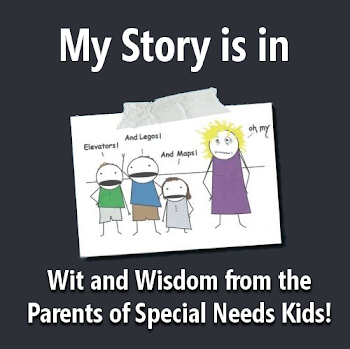 I just don't know exactly how to decide when and how to help each child meet his/her needs. Have any of you dealt with this? Any good suggestions? Wall-E is a robot whose job is to clean up the mess the humans left on Earth. He has spent the last 700 years just cleaning up messes and listening to show tunes. It is a cute movie, but the reason I really like it? The day after Danny viewed the video, he started pretending to be Wall-E, which basically entailed him frenetically cleaning up his and Charlotte's room using robot-like movements. Now when I want him to clean up, we pretend he is Wall-E. Not sure how long this will work, but I plan on milking it! This is one cartoon character who I can support!